Description: Coredinations tags add a special touch to your scrapbooks, cards, presents, or other projects. Glitter Scallop White- Use this specialty paper in your home inkjet printer just like everyday paper, it has optimal color vibrancy. 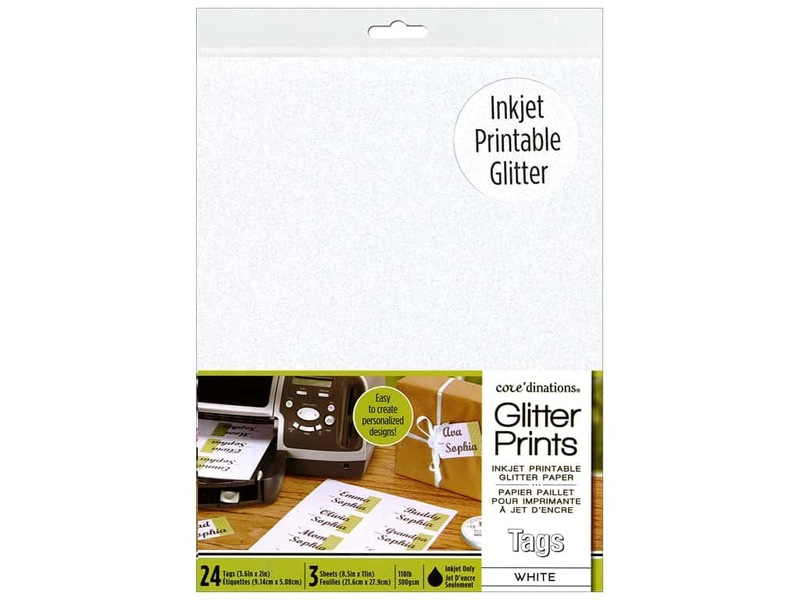 Iridescent White glitter paper tags, 8 each on 8.5"x 11" inkjet printable sheets, 110 # weight. The tag has scalloped top corners and measures about 2"x 3.5". Coredinations Tags Glitter Scallop White -- CreateForLess 1.00 out of 5 based on 1 ratings. 1 user reviews.